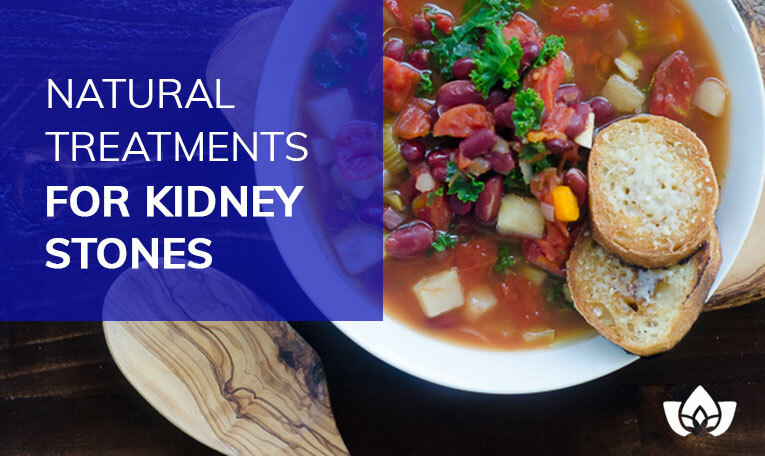 Some people never suffer from kidney stones, and others have them recur frequently, and the reason why may be as much to do with what you’re eating as it is your family medical history. There are many types of kidney stones, but generally speaking they are hard deposits that form inside your kidneys and are passed through urination. Passing kidney stones can be extremely painful, and they do occasionally become lodged in the urinary tract, which can require surgery to remove them. This is why naturopaths will recommend key dietary additions in order to prevent a gut health disruption that can cause kidney stones, especially if you’re in the “at risk” category. What Is A Kidney Stone? The answer to “what is a kidney stone” depends a little on what kind of kidney stone you have, so let’s go over those, quickly. Uric acid stones are more common with people who don’t drink enough, who eat a high-protein diet, or those who have gout. Cystine stones are mostly hereditary, and are caused when the kidneys produce too much of a specific amino acid. Struvite stones will occur due to an infection such as a UTI; be wary, as struvite stones will grow surprisingly quickly and can be on the large side, making them more difficult to pass. The most common stones are calcium stones, which are comprised of calcium oxalate or calcium phosphate. Kidney stones occur for different reasons, and they can also be hereditary. Because of their diet or their lifestyle, some people are also more prone to developing kidney stones. Stones occur when urine concentrates, causing minerals to crystallize and bind together into solid masses. The most important thing to know, if you suspect you have a kidney stone, is that you should get checked out by your doctor; even the smallest kidney stones can be incredibly painful, and you should be prepared in case there are complications. Below are some other ways to help you deal with them, as well as use for preventative medicine so they don’t recur. Citrate is a chemical found in lemons that helps prevent calcium stones from forming; it can also break up small stones, making them much less painful to pass. Although you probably can’t consume enough lemon juice in one session to have a huge effect, habitually adding some fresh lemon juice to your water can be effective over time. The key part of apple cider vinegar is acetic acid, which also helps to dissolve kidney stones. Even better news, apple cider vinegar can also help you by easing the pain when you are passing the stones. The best way to take apple cider vinegar is by adding 2 tbsp to 8 ounces of purified water and drinking this throughout the day. If you prefer, you can also replace balsamic with apple cider vinegar in your salad dressing. 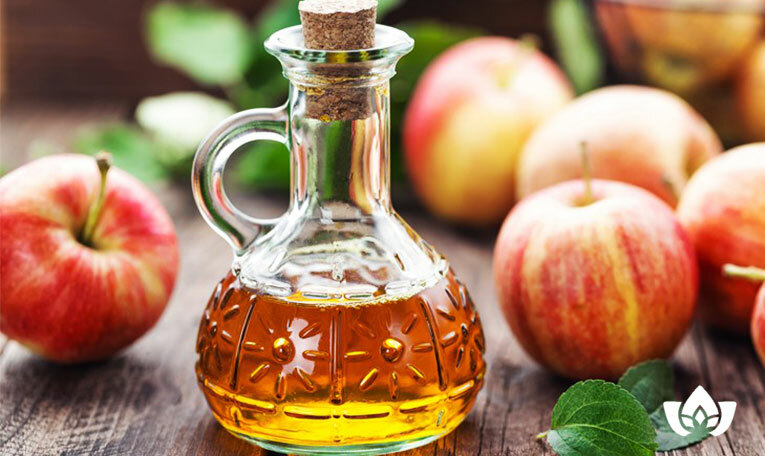 A couple of caveats for apple cider vinegar use: large amounts can cause low potassium and osteoporosis; as well, diabetics and people taking certain medicines should exercise caution. Wheatgrass is commonly taken because it is so full of needed nutrients for optimal health. When it comes to kidney stones, wheatgrass helps by increasing urine, which helps pass the stones; it also is effective at cleansing the kidneys. Drink 2-8 oz. of wheatgrass juice, starting with a small amount and working your way up – this will help reduce side effects. Although it may sound unappetizing, broth from cooking kidney beans (strained and refrigerated) can be very effective in helping dissolve and flush out kidney stones. Drinking a few glasses a day will also help to improve your overall urinary and kidney health. You probably didn’t know that those pesky dandelions that you are constantly pulling out of your front yard are practically a superfood. Dandelions are good sources for vitamins A, B, C, and D, as well as potassium, iron and zinc; the roots are used as a tonic for the liver, stimulating bile production. The leafs are diuretic. You can make fresh dandelion juice with the leaves, or you can buy it in tea form – try to drink 3 to 4 cups per day for the best effect. If you’re reading this because you or your family has a history of kidney stones, I hope it was helpful in understanding the causes and treatments. However, I encourage you to contact us and make an assessment to discuss your approach and get our expert input on how to improve your chances of escaping recurrences. Often, avoiding painful kidney stones can simply be a matter of discussing and adjusting your diet and habits, and that’s where I can assist; call now and book an appointment with me, Dr. Maria Cavallazzi, at the Mindful Healing Clinic in Streetsville, Mississauga. Dr. Maria Cavallazzi is a medical doctor from Colombia where she practiced as a family physician for 8 years until she moved to Canada 16 years ago. © Mindful Healing 2017. All rights reserved. Get the latest News from Mindful Healing! Canadian Anti Spam Legislation Confirmation * --- Select ---I agree to receive electronic messages from Mindful Healing containing information and offers with respect to products and services that may be of interest to me, including notification of sales, special events and clinic promotions. I may withdraw this consent at any time by selecting the unsubscribe option.